First NSF-funded teacher research program in Astronomy and Earth Science: 1988-91 (teacher alumni of that program included the Director of Science at HISD, head of Challenger Center at George Observatory, and many other talented master teachers). First meter-class telescope dedicated to the public: George Observatory, and still the largest public telescope within one hour of 5 million people. Also collaborated to get state law passed to protect dark skies near observatories. First sundial with holes to project a solar image at equinoxes and solstices: 1989 "Cockrell Sundial"
First internet-accessible but safe (non-html) online museum exhibit, Shoemaker-Levy 9, 1994. HMNS has had Rice-Developed, internet-accessible earth and space science exhibits ever since, with more than two million in-person users. Was developed under NASA's FIRST Cooperative Agreement Notice, that also funded Google! First educational software (on CD-Rom) to allow safe (non-html) access to online realtime earth and space science data: Space Update, 1996. (Followed by Earth Update, Space Weather, and Mars Update). Over 300,000 in the field, sold or given away free to teachers. 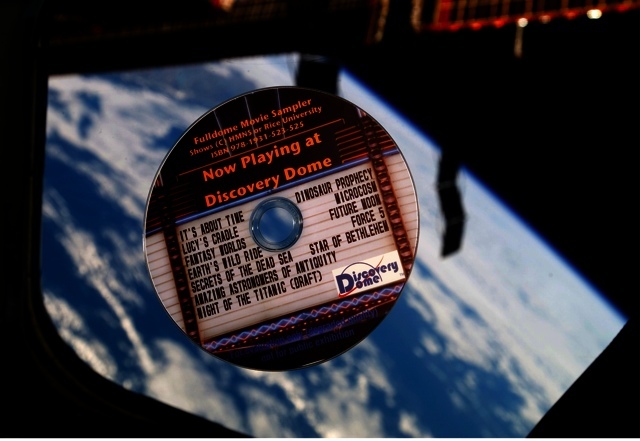 First fisheye lens flown in space (still up on the ISS; launched 2009), footage used in "We Choose Space" and "Great Planet Adventures"
"Space Physics and Aeronomy Richard Carrington Award" for outreach, 2013. PI, "The Public Connection"; "Museums Teaching Planet Earth"; "Immersive Earth"
President and CEO, MTPE, Inc. and Space Update, Inc. (Spinoff companies marketing Rice and Museum-developed products). Head of Local organizing committee, Sally Ride Science Festival – Houston. Now called "Reach for the Stars STEM Festival". Brings 1000+ middle school girls to Rice for hands-on science workshops annually plus street fair. Keynote speaker 2006: Sally Ride. Keynote speaker 2007: Eileen Collins, with video greeting from Peggy Whitson, ISS commander. Keynote speaker 2008: Peggy Whitson; 2009: Ellen Ochoa; 2010: Wendy Lawrence; 2011: Catherine Coleman; 2012: Wendy Lawrence; 2013: Barbara Morgan. 2014: Catherine Coleman; 2015: Wendy Lawrence; 2018: Peggy Whitson.